Did you have prebuilt DOAs or did you solder them by yourself. This is mostly the issue. The ticking is weird, if you have the same like drew571. The ticking can come from a leaking capacitor or a faulty resistor. If you have the issue on three preamps, then you make three times the same mistake. Jef sells top notch stuff, I don't think that this problem is any mechanical. I agree Jeffs quality is top notch. , it was not his parts or the build, the DOA was the Rogue Five red dot. I just tried a different 500 lunchbox and that fixed the issue. I was running them in a chameleon 880 and for some reason that was happening . As soon as i switched to the Vintage king lunchbox everything worked perfectly fine. 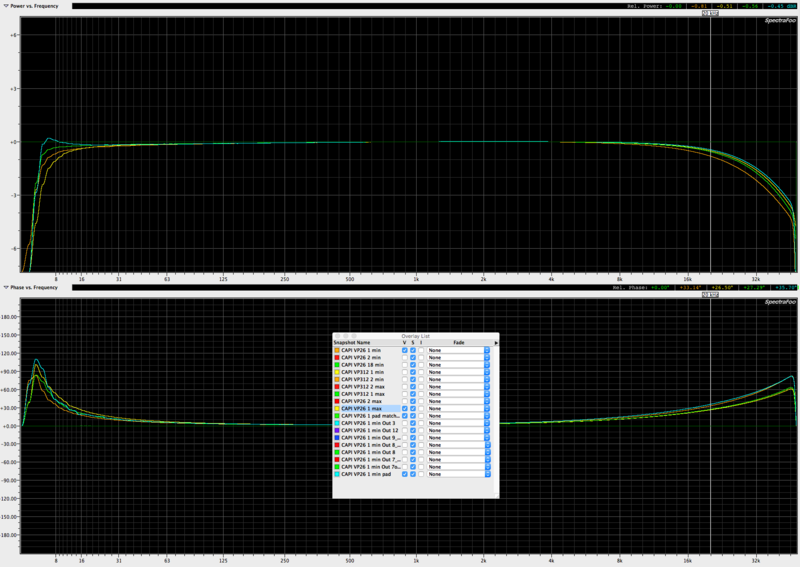 Any thoughts on one why the signal would cut out on a VP26 RevB when the phase or pad switch is engaged? It doesn't happen all the time. Exercising, the switches solve the issue. Could it be dirty contacts on the switch? Lube them? Thanks! Classic symptoms of a bad solder joint somewhere on the build. Not necessarily on the pad or phase switch. still having issues with my VP26. really didn't know what else to try. tried different slots in my 500 lunchbox. same issue. my vp28's work fine in the same slots. finally decided to just build another one to see if i maybe just had a bad component on the first one. same exact issue. maybe i'm placing something in the wrong place or backwards. i'll post a pic. it might be helpful if someone else has this same build if they could post a pic of of a completed and properly functioning unit that i could compare to. You've got R2 and R3 flipped with each other. ah! ok. so next question, anyone in Nashville have a Hakko desoldering gun? I'll pay you to switch the two resistors! Just PM me! My vp26 that had been working perfectly for a few months has just stopped working. I have switched out doa's and changed slots in the rack but no sound at all. I don't even know where to start. If you skim back thru this thread, this is the most common thing that has been popping up lately. Sounds like a bad solder joint to me. Xicon for most things is fine. I had a look at a couple of continuous gain VP26’s the other day, and thought I’d share these frequency and phase response plots. This is gain minimum with pad, gain minimum, gain with pad matched to gain minimum without pad, gain maximum with pad. You can see the changing feedback in the bottom end, but it’s pretty minor. Neither does the pad or the change in feedback make much difference in the top end. Really pretty well behaved compared to many transformer coupled preamps. Related, if you want to match minimum gain without a pad to gain with a pad, the knob is gonna move from 7 o’clock to roughly 2:55 to make up the 20.25 dB loss of the pad. I see that freak a lot of people out, they become afraid to use the pad because the knob setting seems ‘wrong’ to them. The plots show there’s little measurable change from using the pad, with the majority of change in sound coming from the resistive isolation of reactive elements in the mic and preamp transformers. any reason why my litz vp26's would be lower in output volume than the gar2520 or is this normal? here's a couple pics in case i did something wrong. They will be essentially identical...if everything is built properly.